The New York Times Weighs in on Carmen Farina! “Mr. de Blasio, who takes office on Wednesday, may soon find that his powers are constrained. The strict testing regimen in reading and math that has irked some parents and students across the city is for the most part enshrined in state and federal law. While Mr. de Blasio has sought to slow the growth of charter schools, he will not have the power to block their creation. The mandate of de Blasio’s election in November was a call not just for New York City but for the rest of the country that the school reform policies of Washington, D.C. under Arne Duncan and his predecessor, Margaret Spellings, have been failures. Their policies have promoted an uncreative, humorless, and dull agenda of reform that bashes the teaching profession while subjecting children and their parents to a plethora of tests and data that have resulted in no significant gains in student outcomes. Please Mr. de Blasio and Mrs. Farina maintain your vision and enthusiasm and take back our public schools for children, parents, and educators. Let Washington cater to the politicians, corporate interest groups, and lobbyists who have come to dominate national education policy. Are We Creating Walmarts in Higher Education? “Under pressure to turn out more students, more quickly and for less money, and to tie graduates’ skills to workforce needs, higher-education institutions and policy makers have been busy reducing the number of required credits, giving credit for life experience, and cutting some courses, while putting others online. Now critics are raising the alarm that speeding up college and making it cheaper risks dumbing it down. “We all want to have more students graduate and graduate in a more timely manner,” says Rudy Fichtenbaum, president of the American Association of University Professors. “The question is, do you do this by lowering your standards? Meanwhile, to save money, more conventional classrooms are filling up with part-time faculty, often hired two or three weeks before they’re due to begin teaching, according to research by another organization, the New Faculty Majority Foundation. “We are creating Walmarts of higher education—convenient, cheap, and second-rate,” says Karen Arnold, associate professor at the Educational Leadership and Higher Education Department at Boston College. The article also comments on online learning technology and specifically MOOCs as part of the McDonaldization of higher education. 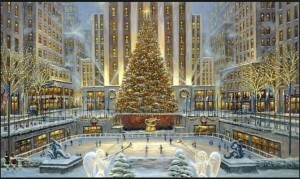 The meeting in New York in January mentioned in the article is being hosted by CUNY’s Professional Staff Congress. It’s Official: Carmen Farina is the New NYC Schools Chancellor! “With just days before he begins his term as New York City’s new mayor, Bill de Blasio (D) on Monday named longtime educator Carmen Fariña to lead the nation’s largest school system. The mayor-elect made the announcement at a press conference at Brooklyn’s William Alexander Middle School, where his two children attended. The job gives Fariña, 70, a broad mandate to remake one of Mayor Michael Bloomberg’s signature sweeping changes to the city of New York. Fariña, who met de Blasio early in his career, has long been the frontrunner for the job. A retired veteran educator, she most recently worked as deputy schools chancellor of New York City’s Department of Education under Bloomberg. In that capacity, she served as instructional chief, and she has been described as someone who connected teachers with Bloomberg’s technocrats and consultants. After leaving the NYC Department of Education, Ms. Farina was indeed a vocal critic of many of Joel Klein’s policies. A seasoned school teacher and administrator, she is an excellent choice and we wish her well! Carmen Farina to be Next New York City Schools Chancellor! “Mayor-elect Bill de Blasio will appoint Carmen Fariña, a former top official of the New York City Education Department, as the next schools chancellor, a person with knowledge of the decision said on Sunday. The choice reflected Mr. de Blasio’s desire to depart radically from the educational policies of Mayor Michael R. Bloomberg, including his emphasis on data and his policy of shuttering low-performing schools. The choice is also in keeping with Mr. de Blasio’s pattern of appointing people with deep governmental experience. 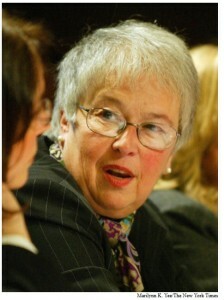 As a principal and superintendent, Ms. Fariña gained a reputation as a stern manager. She worked briefly as a top official in the Education Department early in the Bloomberg administration, overseeing teaching and learning, but departed amid philosophical differences. Last year, when he was a Democrat in a crowded field of mayoral contenders, Mr. de Blasio said that candidates for chancellor should receive “serious public screening,” criticizing the way Mr. Bloomberg had appointed Cathleen P. Black, a publishing executive, as chancellor in 2010. She resigned after three months. As the leader of the nation’s largest school district, with 1 million students, Ms. Fariña will also face a host of thorny issues, including calming tensions over a new set of academic standards, rolling out a plan to charge rent to charter schools and negotiating a contract with the city’s teachers’ union, which is demanding billions of dollars in retroactive raises. Mr. de Blasio has spoken often about his desire to break with several hallmarks of the Bloomberg era, including its support of charter schools. He has said he will decrease the emphasis on standardized testing and give more input to parents. The appointment of Farina would be a very good move for the NYC schools and its children. Michael Bloomberg accomplished many things during his twelve years as mayor but his appointments of Joel Klein and Cathie Black, neither one of whom had any public school experience, were problematic at best. Illinois Teachers Challenge Cuts to Pensions! “The lawsuit, filed in Cook County Circuit Court in Chicago, claims that changes to current and retired teacher pensions passed by the Illinois General Assembly and signed into law by Governor Pat Quinn earlier this month violate protections for public sector worker retirement benefits in the Illinois Constitution. With the state’s finances buckling under a $100 billion unfunded pension liability, the controversial measure reduces and suspends cost-of-living increases for pensions, raises retirement ages and limits the salaries on which pensions are based. The lawsuit names Quinn, Illinois Comptroller Judy Baar Topinka and the Illinois Teachers’ Retirement System’s (TRS) board of trustees as defendants and seeks preliminary and permanent injunctive relief. It was filed as a class action, representing retired and active members of TRS, who are not currently members of any teachers’ labor union. Brooke Anderson, Quinn’s spokeswoman, said while litigation against the law was anticipated, the reforms are expected to meet constitutional scrutiny. Spokesmen for Topinka and for TRS declined to comment. A number of towns, cities, and states across the country face serious funding issues for their public employee pension systems. What is happening in Illinois will likely be repeated again and again in the near future as pension funds require greater contributions from municipal and state operating budgets to keep them solvent. Unemployment Benefits Ending for 1.3 Million Jobless Americans! We hope for a compromise soon after the New Year when Congress reconvenes! 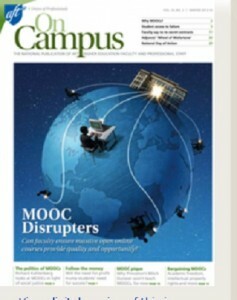 AFT Speaks Out on MOOC Disrupters in Latest Edition of “On Campus”! On Campus, the American Federation of Teachers (AFT) periodical on higher education, is devoting the current edition to “MOOC Disrupters”. The articles examine the major issues (scale, social stratification, affordability, venture capital) from the AFT’s point of view. Below is the Editor’s Note on this edition. Since massive open online courses burst on the scene two years ago, MOOCs have been heralded as a disruptive force for innovation in higher education that will magically solve the large policy challenges we face as a nation: How do we get more Americans to attend college and complete their studies? And how do we bring down the costs? Florida is the only state whose romance with MOOCs has produced legislation. Earlier this year, the Legislature passed HB 7029, a bill allowing corporations and vendors to design, teach and grade courses that public institutions can accept credit for. As United Faculty of Florida President Tom Auxter has observed, “When commercial vendors replace online courses faculty now teach with courses designed by the venders, they stand to make windfall profits at the expense of student learning.” That won’t happen in this incarnation of the law, as UFF and faculty bodies managed to block some of the worst elements in the final version of HB 7029. They are fighting to protect the integrity of public higher education offerings. Right now, no one is making money on MOOCs, but some see them as a gold mine. As Susan Meisenhelder shows in “Follow the Money” on page 7, venture capitalists are sinking millions into new startups. Even Moody’s Investor Service is bullish on MOOCs—both as a business and an asset that will boost the PR profile of elite nonprofit universities. The articles in this issue capture the reservations faculty and educational staff have over massive, one-size-fits-all education. On the one hand, teachers are open to new tools that expand teaching and learning options in the classroom. Michael Feldstein describes how adaptive learning technologies, for example, hold great possibilities for tailored learning (see page 17). On the other hand, faculty and staff are wary of silver bullets imposed by outsiders with vested interests that have little to do with what works best for students and their teachers. MOOCs open the door to even greater exploitation of a contingent academic workforce and a reduction of the faculty role in governance, their academic freedom and intellectual property rights, and their control over the curriculum and their jobs. Hanging over all this is the concern that MOOCs, with their as-yet unproven utility for the majority of students our members serve, could actually stratify our students and society in ways antithetical to the promise of education in a democracy, argues Richard Kahlenberg in “The Politics of Online Learning” on page 4. AFT members are working for just the opposite—to reclaim the promise of affordable, high-quality education in the United States that provides equal opportunity for all. On Tuesday, December 24th, Mayor-elect Bill de Blasio’s daughter, Chiara, made a youtube video about her personal battles as a teenager with alcohol and substance abuse. I was not sure what to make of the carefully scripted video at first especially since it was coming one week before her father assumes office. The timing of it I presume was to nip in the bud any “expose” of her problems that might appear later on in the tabloid press. However, I watched and listened to it a second time and regardless of the motive, I have come to the conclusion that Chiara has used the social media to deliver an important message to young people especially those who are having a problem with alcohol or substance abuse. Furthermore, she makes a genuine plea to those suffering from abuse to seek professional help and uses her own experience as an example of what to do and how to get back on track with your life. I congratulate her honesty and candor in going public with her story. 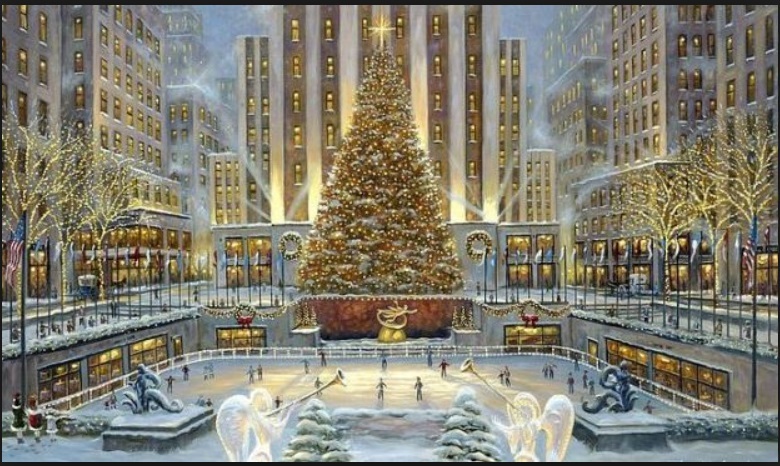 Peace on Earth – Good Will to All! FBI Considered “It’s a Wonderful Life” Communist Propaganda! The report goes on to comment how the film maligns the upper class in American society.